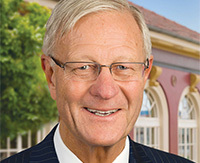 Stefan Ackerie is one of Queensland’s most recognisable public figures as a businessman, entrepreneur and philanthropist. 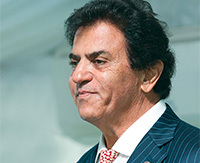 As founder and owner of the Stefan Corporation, the largest privately owned hairdressing company in the Southern Hemisphere, his commitment to educating young people has seen thousands of young Queenslanders employed under the Stefan Rainbow. Stefan is also known for his generosity and charity work to support the homeless, needy and sick children in hospitals all over Queensland. 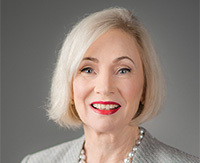 Dr Dimity Dornan AO is the founder of Hear and Say Centres for Deaf Children and a pioneer in her field. She was the first to graduate in speech pathology at the University of Queensland and the first speech pathologist to work at the Royal Brisbane and other hospitals. Dimity’s resolve to find an auditory-verbal solution for deaf children has led to a number of world firsts, providing training for teaching professionals in Auditory-Verbal Therapy (AVT) and creating the AVT eLearning model for service delivery. Dimity has significantly raised the profile of hearing health throughout Queensland, Australia and the world. 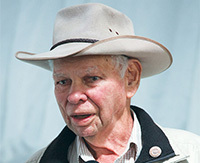 Tim Fairfax AC is a businessman, philanthropist and pastoralist, well known for his philanthropy and leadership within the arts and through the Tim Fairfax Family Foundation. Tim’s generosity and commitment have enriched Queensland Art Gallery’s (QAG) collection. He has also supported many QAG Children’s Art Centre initiatives including children’s programs run throughout regional and remote Queensland. Professor G.Q. 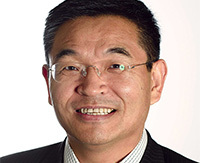 Max Lu AO FAA FTSE is a nanotechnologist and scholar whose contributions to Queensland and world science are leaving a powerful legacy. Max spearheaded one of Australia’s premier research centres, the Australian Research Council Centre of Excellence for Functional Nanomaterials, which has helped position Australia at the forefront of nanotechnology internationally. Max has mentored next generation researchers as a university leader and co-authored publications and patents, achieving the elite scientist status of Highly Cited Researcher. Herb Wharton is an Elder of the Kooma people of southwest Queensland. As a poet and novelist, Herb has travelled the world taking part in literary festivals and serving as an ambassador of Australian literature and for Aboriginal Australia. Herb’s writing is read and studied at schools and universities across the state and he is recognised as a mentor to younger generations. He has won numerous awards for his outstanding and lifelong contributions to Australian literature. 2500 members and 6000 volunteers. 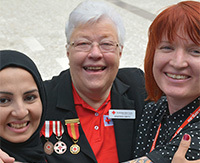 The Red Cross assists Queensland communities to prepare for, respond to and recover from disaster. It provides homeless services and support for culturally diverse families, independent adults and unaccompanied minors.